Starting with release 1609, Tamriel Rebuilt will move to a new data structure. TR_Data is out, Tamriel_Data is in, and a host of changes come with it! If you just want to skip ahead, you can find download links here. Culminating from a year of hard work, Tamriel_Data contains a unified file structure spearheaded by Project Tamriel and Tamriel Rebuilt as the first adopter. Not only will this make assets from both projects available to each other and third party modders, but the assets are organised in a logical, easy to navigate syntax, enabling our modders to create content more easily. A file name will now have the context that was previously only known by trial, error, and experience. 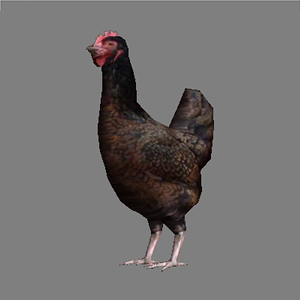 It will probably not quite look like this. Additionally, we are now supplying both vanilla-style resources and a high-resolution alternative. Now, no matter how much you doll up your game, mods relying on Tamriel_Data will never look out of date again! Note: While the assets for Project Tamriel are all available in both high and resolution, Tamriel Rebuilt is not nearly done. 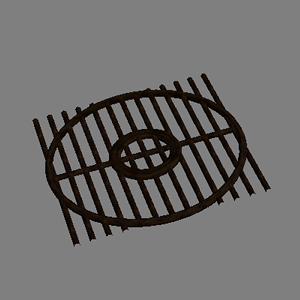 Any texture artists willing to help are welcome! First, if you used more than one of the big three province Mods (Tamriel Rebuilt, Skyrim: Home of the Nords, Province: Cyrodiil), you will be able to just use Tamriel_Data with each of them. Three ESMs and BSAs now become one ESM and one BSA: easy on the load order, and easier to keep track of. 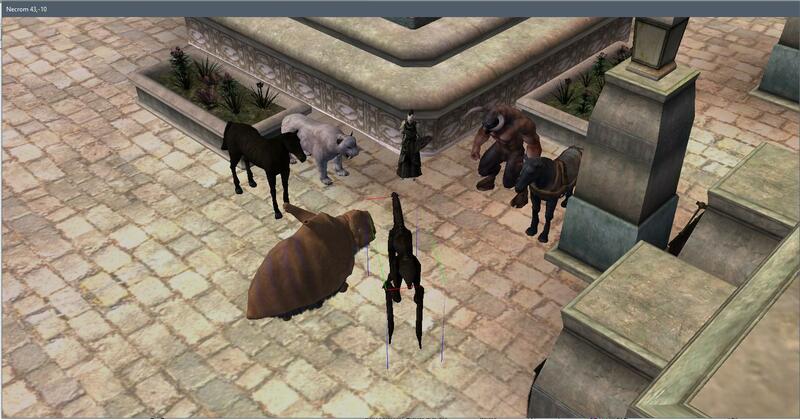 The hardest part is remembering to edit your Morrowind.ini to use the new BSAs instead of the old ones. 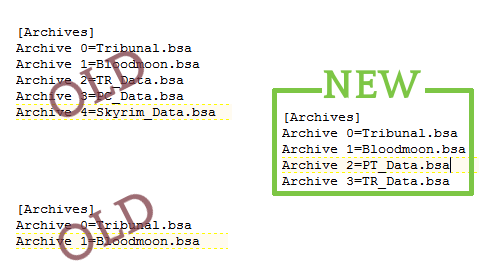 Since you have probably played one of the bigger mods, you should know how this works: just locate the file in your Morrowind game directory, find the [Archive] section, add the two new BSAs (TR_Data.bsa, PT_Data.bsa), replacing obsolete entries if they were there, done. Alternatively, you can of course use BSAReg, which ususally takes care of that automatically. Just make sure that your Tamriel_Data is up to date, which the province mods will alert you to in our releases. 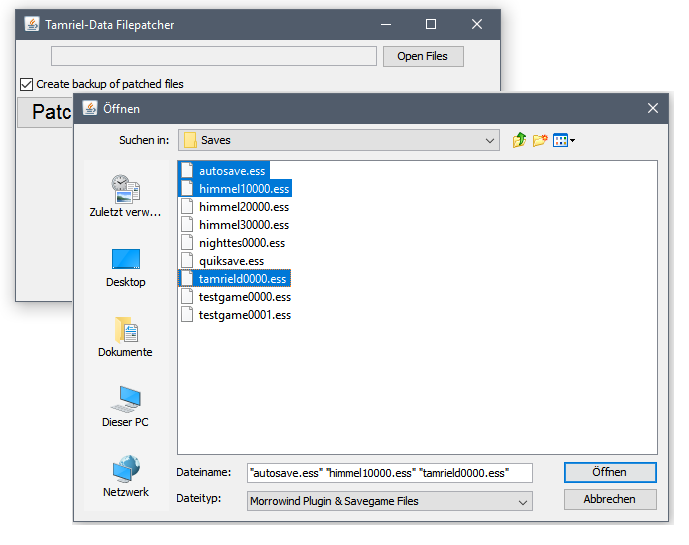 If you have previously used one of the three mods, a simple file patcher for your save game is contained in the 7z. Just run it over your save game and pick up where you left off! First, make sure you have a JRE installed. 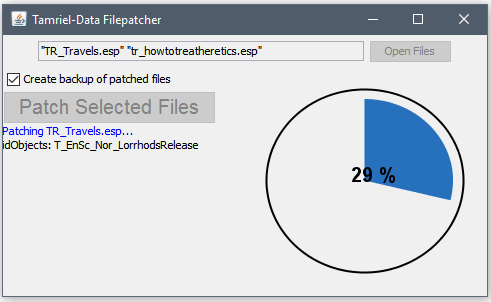 If you don’t have one, the patcher will behave as if it was an archive (Windows will try to unpack it), when it’s actually an exectuable. 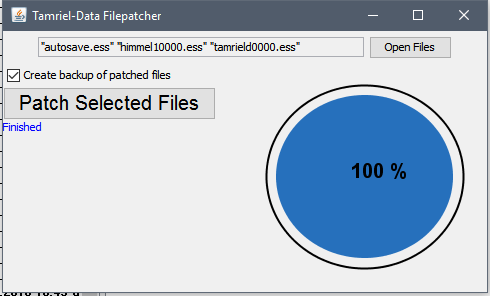 Then, run the TR_FilePatcher located in the Morrowind folder and choose one or more savegames to patch. Make sure to save backup copies! Second, Tamriel Rebuilt 1609 will have a lot of changes in regions and cities, along with bug fixes that the patcher can't solve. Make sure to clean your save afterwards with Wrye Mash or Enchanted Editor, as you normally would. All done, your saves are good and ready to go! The most obvious benefit is, of course, more resources. You can never have enough meshes, textures, ingredients, and books. This is obviously beneficial for us, as Tamriel Rebuilt moves closer to the southern parts that border Cyrodiil, and Skyrim: Home of the Nords moves eastwards to Morrowind. Not only are we able to share our assets, we are avoiding a lot of doublettes in three different ESMs. 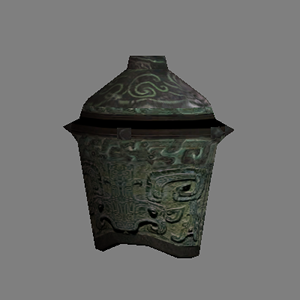 The real benefit lies in the unified, consistent name structure, which enables modders to easily understand the item they are placing and the context it has in the game. Of course, the names still have a character limit. Nothing is perfect until the release date of OpenMW, after all. The same file patcher that can be used to update save games can also update ESPs. Not only will it switch to the new assets, but it will automatically switch the old data master file(s) to Tamriel_Data.esm. Of course, you will still need to recompile your scripts. As Tamriel_Data unifies the data of three province mods, it might evolve into its own framework. Similar to COBL, it contains fully lore-friendly, consistent additions to meshes, textures, food, books, regions, factions, and so much more. Last but not least, this is a definite statement from both projects: we're in this together, for the long haul.